A Norwegian researcher’s findings that the Barents Sea may be ice-free by 2040 has unleashed new heated opposition to Norway’s granting of licenses for even more oil and gas exploration. Environmentalists claim the drilling will be “immoral” also after the ice is gone. 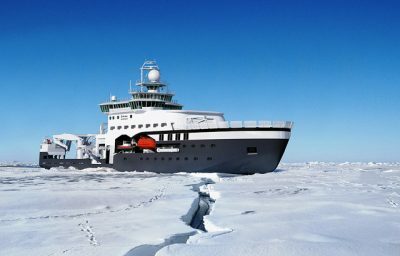 Ocean researcher Sigrid Lind has concluded in her new doctoral thesis that the Barents Sea is likely to become ice-free all year long. The Arctic is shrinking, the ice is melting and more of the northern Barents will be ice-free in just over 20 years, making it much more accessible to oil companies eager to drill for more oil and gas. “This is a dramatic climate change we haven’t seen the likes of in modern times,” Lind told newspaper Dagens Næringsliv (DN) this week. She based her research on measurements taken by Norway’s Havforskningsinstituttet (Institute of Marine Research) that show how the northerly portions of the Barents are fully one degree warmer now than just 40 years ago. Climate change is contributing to continuing reductions in sea ice from the Arctic Ocean. Warm water from the Atlantic is melting the sea ice, prompting the so-called “ice edge” to move farther north and east. 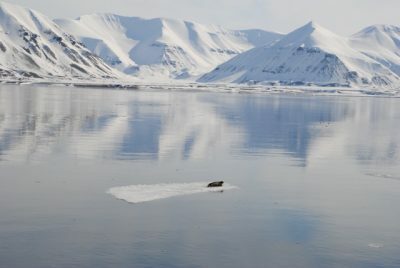 “The northern Barents is showing the fastest decline in sea ice in winter in the entire Arctic,” she told DN in an interview in Tromsø, northern Norway, where she lives and works. “The entire area is getting warmer.” The conclusions from her doctoral research, which Lind successfully defended at the University of Bergen’s institute for geophysics in May, have been published in the professional journal Nature Climate Change. It will also make even more areas of the “old” Arctic accessible to oil companies’ drilling rigs from an industry that’s already widely blamed for generating the carbon emissions that have led to climate change. As Oslo sweated through another week of record high temperatures, environmental activists sounded the alarms. They’re worried that the Norwegian government and the oil industry will view the likelihood of an ice-free Barents Sea as providing new opportunities for profits and tax revenue generation, instead of as a liability for the planet. Naturvernforbundet (Norway’s chapter of Friends of the Earth) quickly called once again for a ban on more oil and gas exploration in such sensitive areas, even after they become ice-free. “It is immoral to exploit climate change to increase oil drilling that creates even more climate changes,” said Maren Esmark, secretary general of the environmental organization in Oslo. 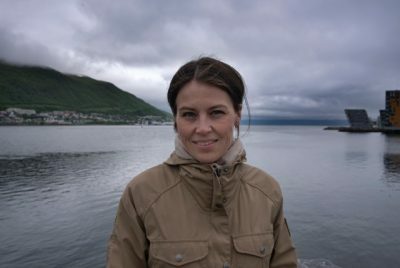 She called the new ocean research finding “frightening.” Instead of allowing for more oil drilling in the far north, as the Norwegian government has just done again, a complete ban is needed for the entire northern Barents. While that’s bad news for the polar bears, marine life and people leaving along low-lying coastlines around the world (because of rising sea levels caused by melting ice), it’s great news for those promoting oil exploration father north in the Barents. Norway’s own oil directorate has already put forth its own research suggesting the sea floor can hold large amounts of undiscovered oil resources. Higher oil prices have already brought renewed vigor to Norway’s oil industry, with optimism high and rising at offshore yards up and down the coast. The Rosenberg yard in Stavanger, for example, has hired back workers laid off when the oil price collapsed in 2014, after seeing its orderbooks more than quadruple. The oil fields Johan Sverdrup, Johan Castberg, Njord and Snorre Expansion are contributing to most of the new investment in the oil business this year. Norwegian oil industry representatives seemed reluctant to cheer the news of an ice-free Barents, though. “Nobody with any common or moral sense can use climate change to drill after oil in areas becoming ice-free because of climate change,” Esmark claimed. A spokeswoman for oil industry trade association Norsk Olje og gass didn’t want to comment on what it views as one single piece of research.